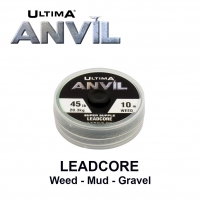 Ultima Tournament has been designed for high performance and high durability in the toughest conditions. 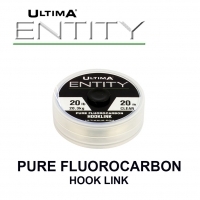 Ultima have used their unmatched experience in polymer and production technology to achieve new levels of strength and knot strength in a Hi Vis line by developing a unique molecular dual bonding system. Even more remarkably Ultima technicians have engineered Tournament to be fifteen times more abrasion resistant than standard mono. Tournament has a unique PTFE coating that makes it super slick so it casts brilliantly and beds down on the spool perfectly every time. Ultima have taken Hi Vis Solid line development to a new level with Ultima Tournament. Available in two solid colour options. 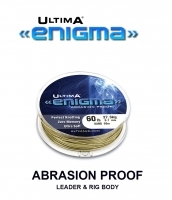 "The abrasion resistance of Ultima Tournament is like nothing else I have ever seen before"
"Super slick and fast through the rings with brilliant knot strength. This is the best new beach line I have seen in a long time"
I use Ultima Tournament for several reasons; 1) it’s diameter to breaking straining meaning I can use 0.30 instead of 0.32 or higher and 2) the smoothness of the line meaning casting is trouble free and you can feel any abrasion on the line on the retrieve. Both are particularly important when fishing at ‘range’ for species like dogfish where a sizeable amount of pressure is placed on the mainline staying intact. 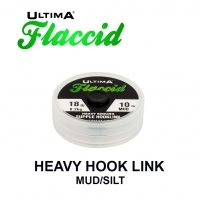 “As a tournament caster as well as match angler, I prefer to use a line that combines low diameter with high abrasion resistant to allow the ability to fish at long range but also get it over the ledges – tournament offers this and gives a wide range of diameters to choose from to suit every venue we fish. "Ultima Tournament’s combination of performance and reliability is legendary." 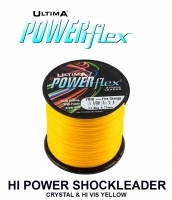 Ultima Tournament is the remarkable super tough surf casting line. 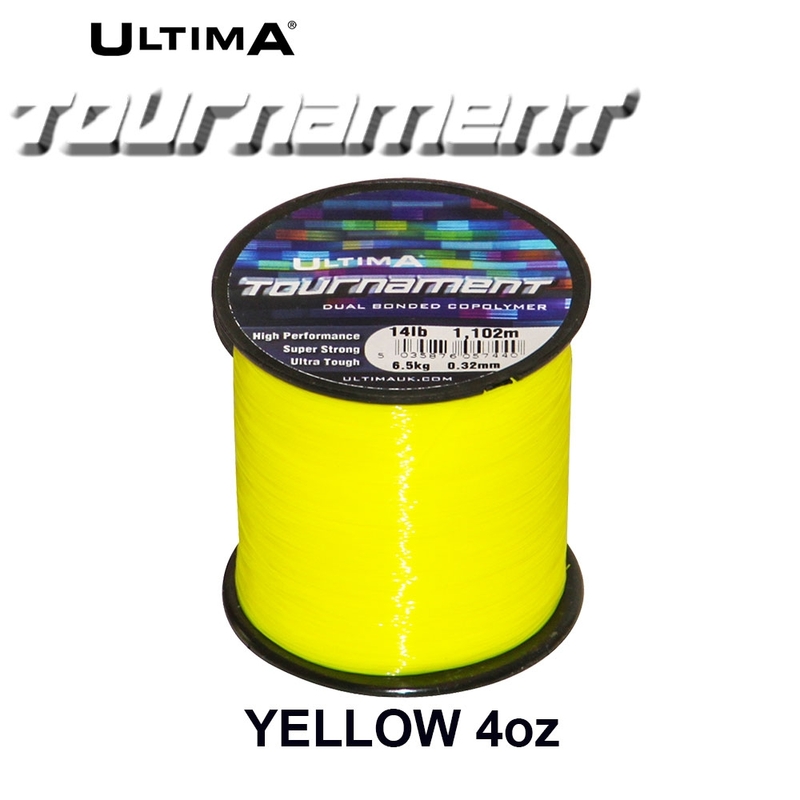 Tournament has been engineered using the very latest copolymers coupled with advanced production techniques to deliver not only Ultima's usual standards of very high strength and knot strength but also a previously unmatched levels of abrasion resistance. Ultima Tournament is remarkable as it is over 20 times more abrasion resistant than normal mono and can be used confidently in the toughest conditions. 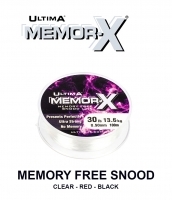 Due to its soft and supple nature Tournament not only casts brilliantly but beds down on the spool beautifully every time. Available in two colour option, Yellow and White for high visibility and night fishing, Black is due to be available in spring 2019.